They make great pets and loyal companions, but did you know dogs can also be trained to help people with epilepsy? 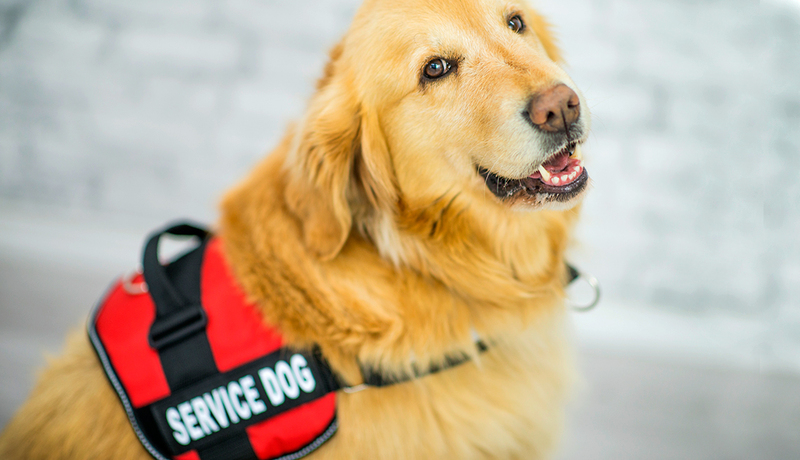 While service dogs are often associated with people who have visual impairments, seizure alert dogs are becoming more and more popular around the world. Their calm demeanour and safety training gives people the confidence to live independently. Myth: Seizure alert dogs are trained to detect oncoming seizures. Trainers cannot teach a dog to detect seizures, though some dogs may have this intuition. Instead, seizure alert dogs can protect the person having a seizure by helping them to avoid injury when wandering. This can be immensely reassuring for people who avoid activities because they fear having a seizure in public. Service dogs can help by keeping their handlers safe during and after a seizure. For this reason, some trainers prefer to call these dogs seizure assist dogs. Training can take six months to two years depending on the specific tasks the dog must learn. This intensive training means seizure alert dogs can cost $10,000 to $25,000. Seizure Response Dog Guides are trained to assist people with epilepsy and are provided at no cost to applicants through Lions Foundation of Canada Dog Guides. Trained to react to the onset of a seizure, these Dog Guides know how to get help by barking or activating an alert system. They increase the safety, confidence and independence of their handlers.Each Dog Guide is trained to recognize the specific physical characteristics of their handlers seizures. Lifestyle is also factored into the process to ensure personalities are compatible for a long life as a working team.